Take wireless music listening to a whole new level of performance and enjoyment with the SO-3000. The SO-3000’s 2x18W RMS amplifier, low-resonance wooden enclosure and hi-res Chromecast built-in streaming deliver truly amazing sound. Fill your room with great music. 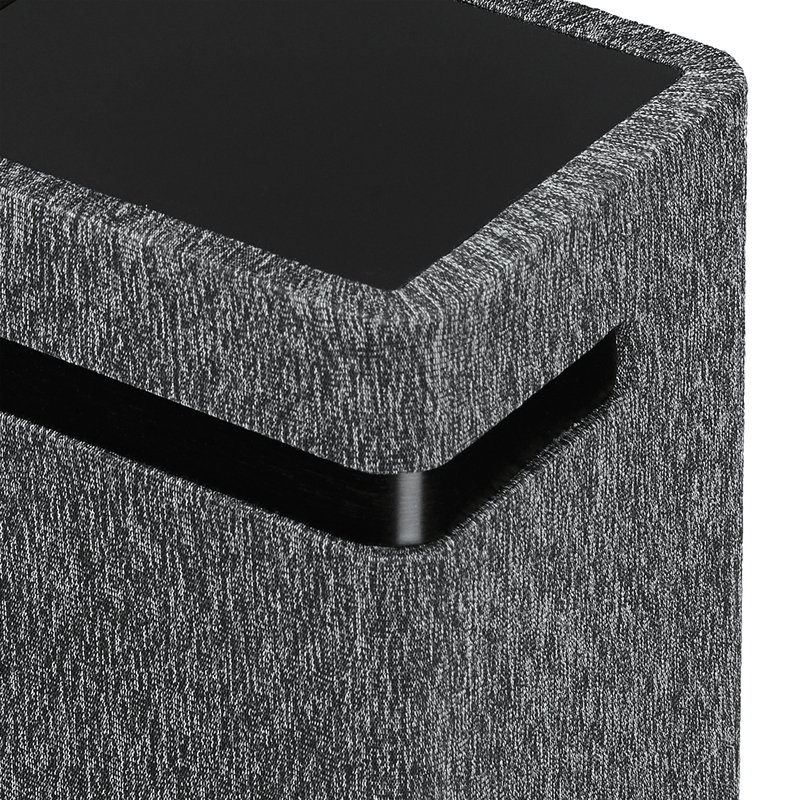 Inside the enclosure is a beefy 18 watts (RMS) per channel amplifier that drives two 3-1/2” long-throw, full range speakers for HiFi sound quality that will genuinely amaze you and your guests. The simple forms, sleek lines, and contrasting textures of Mid Century Modern style are timeless and highly valued by interior designers, architects, and fashion conscious consumers. The SO-3000 uses 20th century MCM design cues paired with 21st century materials for striking good looks. 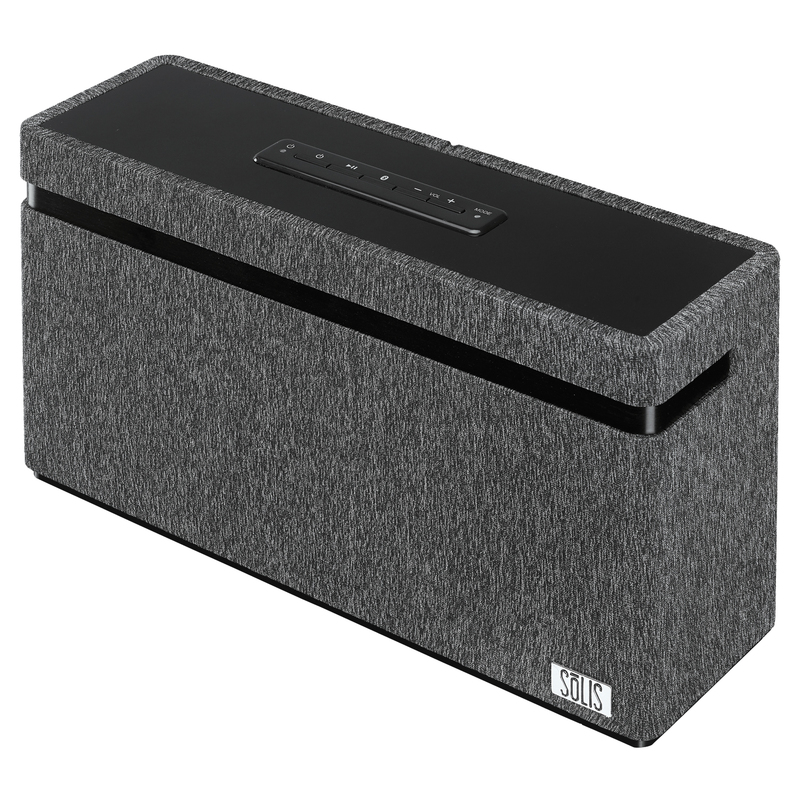 The SO-3000 allows you to effortlessly access all the music on your smart phone as well as all music streaming services (such as Spotify and Pandora), Internet radio stations and podcasts with its Chromecast built-in and Bluetooth connectivity. Simply tap the cast icon on any Google Home-enabled app to begin streaming from your phone, tablet, or computer. 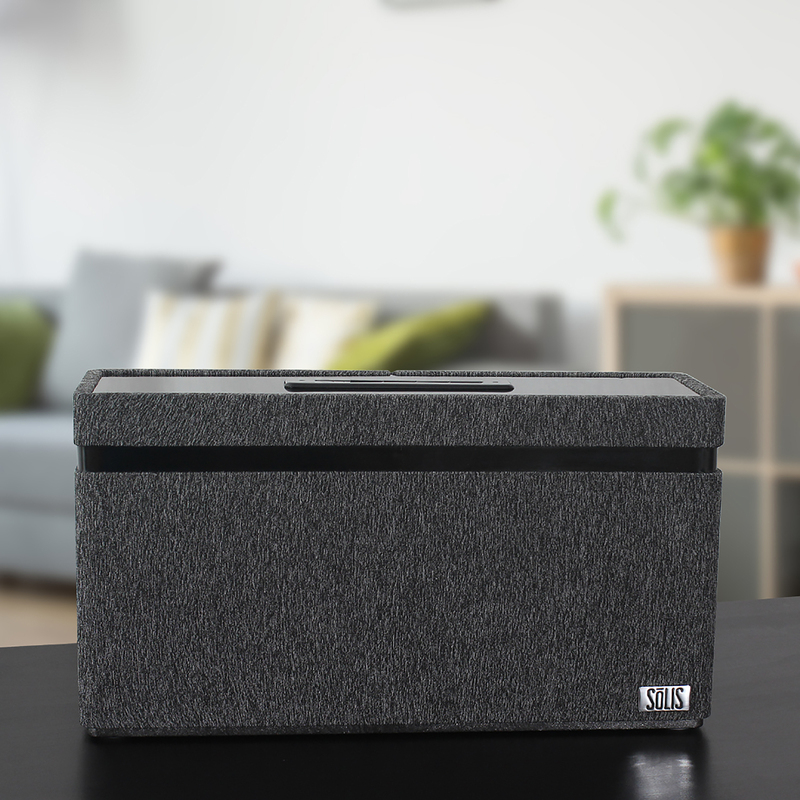 Apps and music services are constantly adding Chromecast built-in support so there's no end to the music and podcasts you can enjoy with your SōLIS smart speaker. 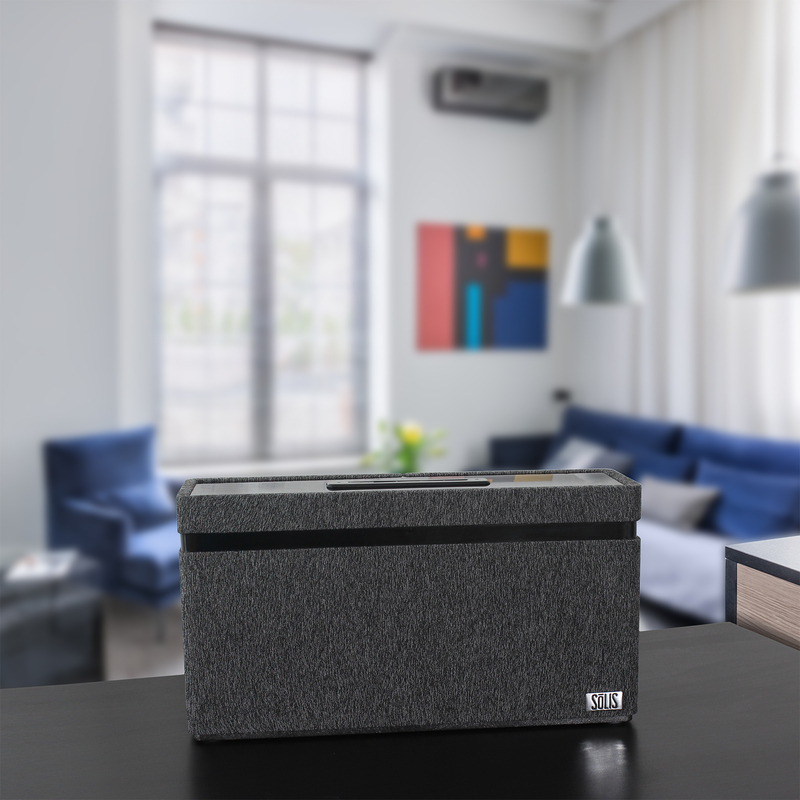 For convenient wireless connectivity without a Wi-Fi network, use the SO-3000’s Bluetooth connectivity to play your own music library, Internet radio, or subscription streaming music service. We haven't forgotten your wired music sources; an auxiliary analog input enables you to connect legacy sources such as CD players and digital music players. 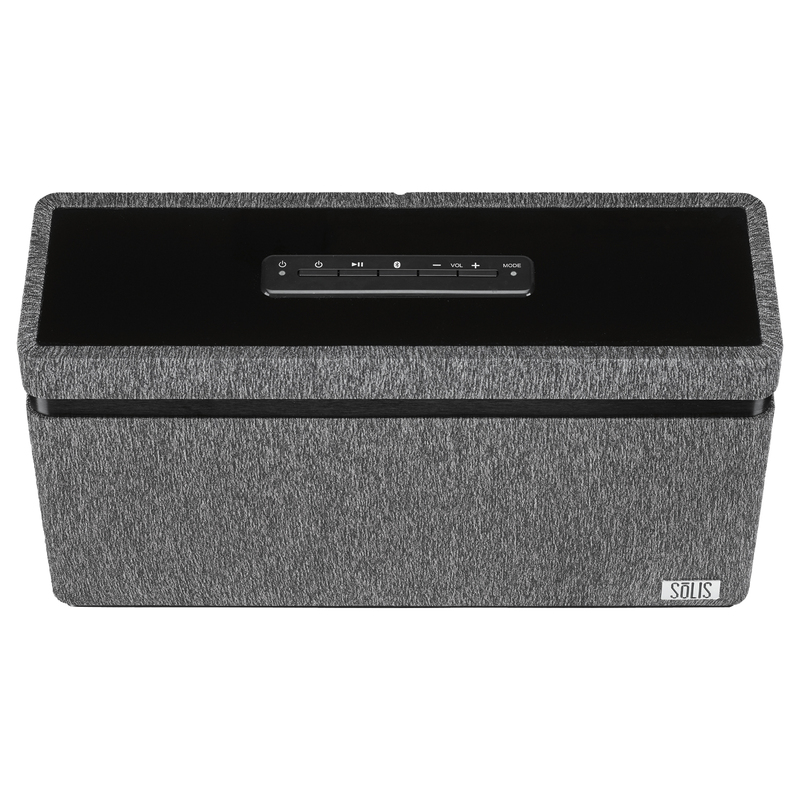 With the SO-3000 you can stream music from your smart phone, tablet or PC throughout your house with Chromecast built-in and the Google Home app. 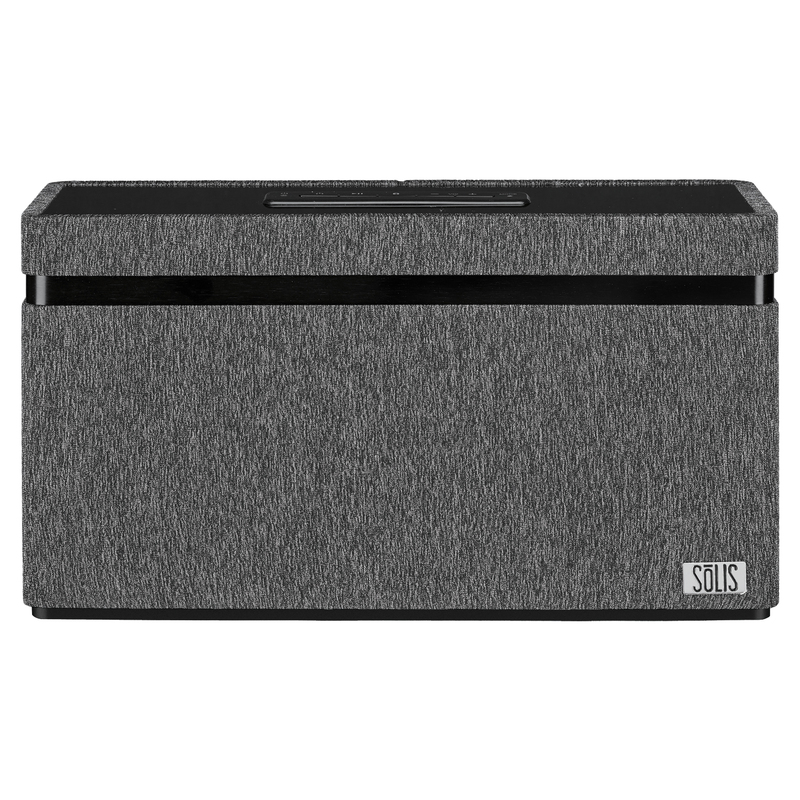 Put any SōLIS smart speaker in every room you want music. With the Google Multi Synch feature you’ll be able to play the same music in every room or listen to different music in each room. 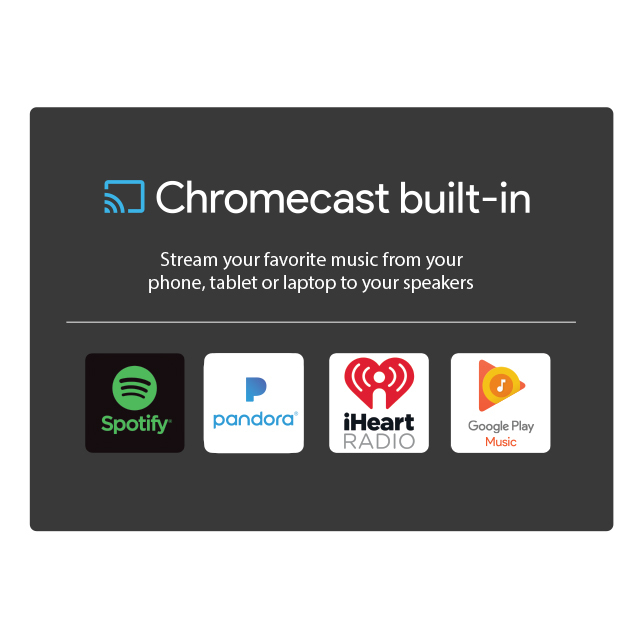 Chromecast built-in allows you to take calls, play games, and even switch your phone off – all without interrupting the music. 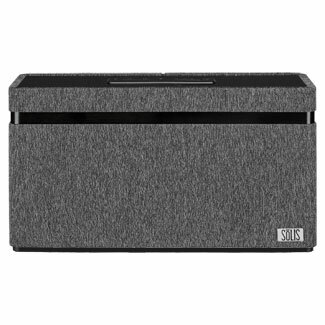 The SO-3000 works with the Google Assistant, which allows you to use the Google Home unit to control any SōLIS® model featuring Chromecast built-in. Change the music, adjust the volume or stop playback with your voice. Google, Google Home, Chromecast built-in and other related marks are trademarks of Google LLC. The Bluetooth® word mark and logos are registered trademarks owned by Bluetooth SIG, Inc. and any use of such marks by Spectra Merchandising International, Inc. is under license.